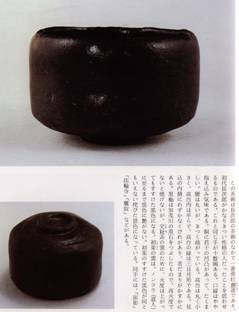 First chawan appeared in Japan in the same time with green tea during Nara period. 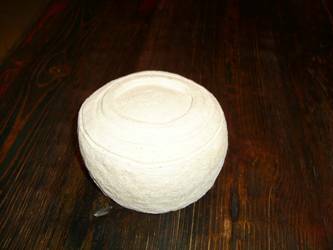 Chawan bowls were used either for tea ceremony (in this case they are called yunomi chawan) or simply for rice eating (gohan chawan). 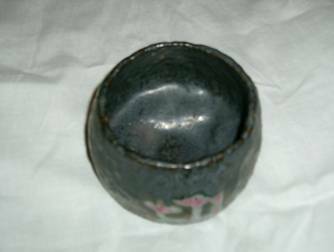 Chawan for chanoyu ceremony was developed under the influence of Zen philosophy and matches the principle of wabi-sabi. 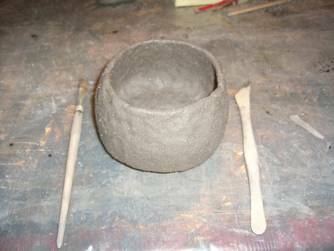 The most interesting technique of chawan making is raku technique. 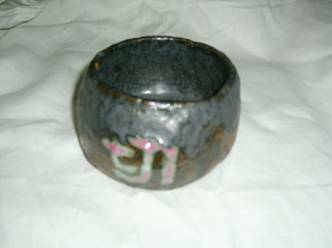 Raku dates back to the late 16th century, when a potter named Sasaki Chojiro (1516-1592) began making special bowls that differed from the colorful, if generic, bowls of Chinese design that were more common at the time. 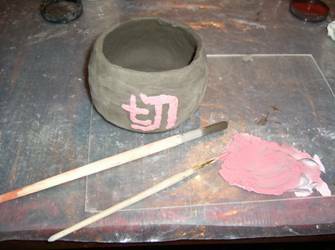 Chojiro was a friend of legendary tea master Sen no Rikyu, who was largely responsible for bringing the sensibilities of Zen and Taoism to the Japanese tea ceremony. 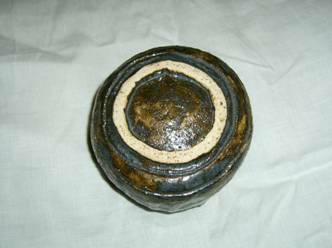 Because the bowls had Rikyu’s approval, Chojiro soon developed a strong reputation. 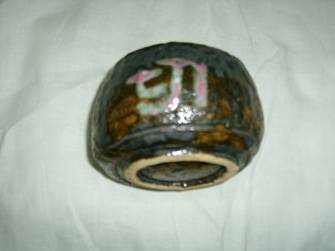 After Chojiro’s death in 1592, his son Jokei continued making the bowls in the same way his father had, and in 1598, Japanese ruler Hideyoshi honored them with a new family name: Raku, from a word that can mean “ease” or “enjoyment.” (Raku is a shortened form of Rakuyaki, which in turn came from the term Jurakudai, a type of architectural design common at that time.) 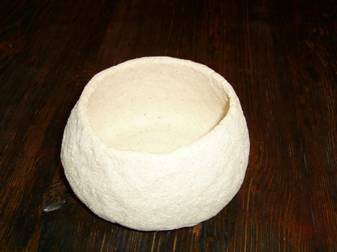 Ever since then, Chojiro’s descendants have continued the tradition, which is now being practiced by the 15th generation of the Raku family. 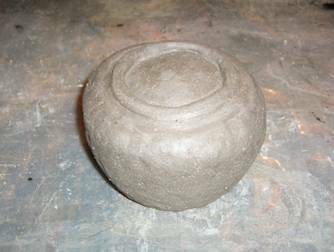 Raku bowls are always thrown by hand, never using a wheel. 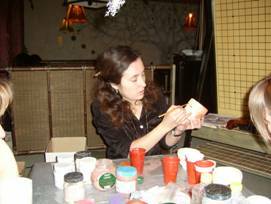 Chawan was created during craft master-class in the Tea club (http://www.cha108.ru ). 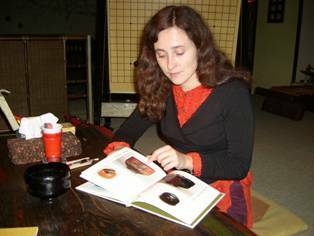 The Master shows Japanese book with 16-18 century bowls. 4 stage. Second kilning. After burning the color tint was changed and a luster appeared.